Call now and request a free catalog! 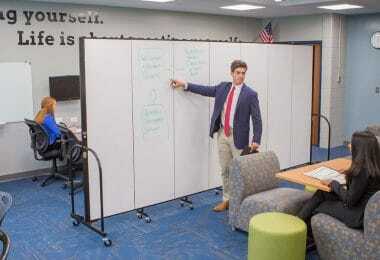 This uniquely designed room divider offers schools the best of both worlds – a tackable sound absorbing movable wall combined with a writable surface. 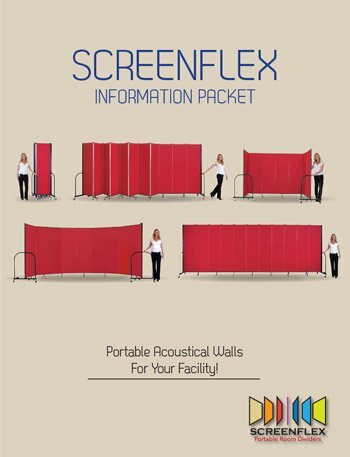 One side of the movable wall boasts the features you can expect from the Standard Room Divider. The fabric tackable surface features a durable charcoal black fabric that surrounds covers a 3/4-inch closed cell honeycomb core. The core is covered with two layers of sound-absorbing fiberglass insulation for added sound absorption. Why is the core so important? 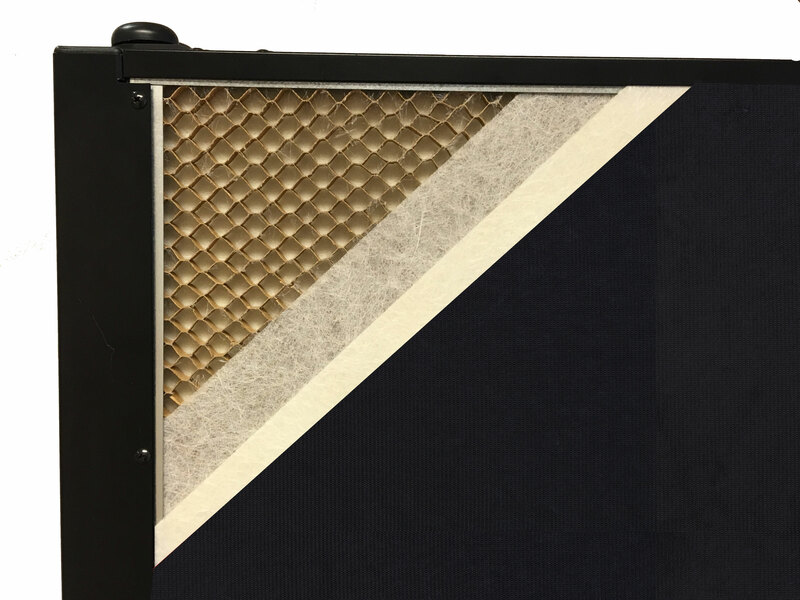 The cells in the cardboard core combined with the environmentally friendly insulation traps sound waves to dampen ambient noise in any space. 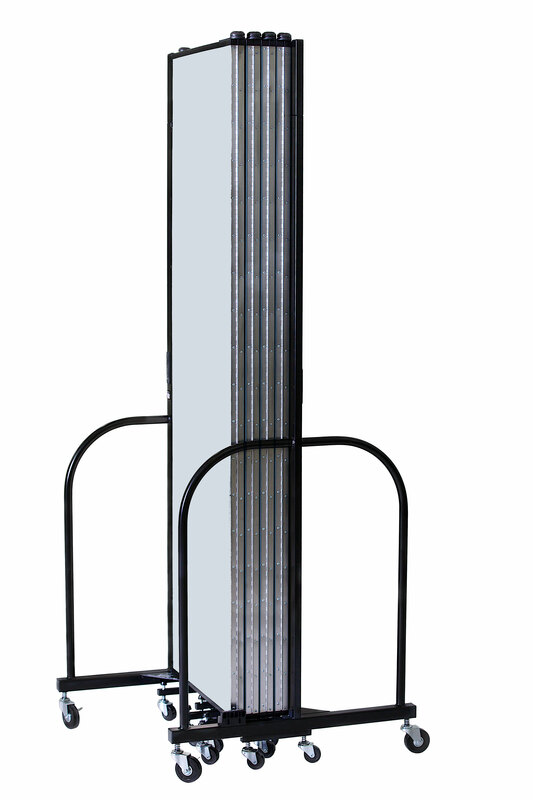 Additionally, this proprietary design provides a tackable display surface to increase student engagement. The second side of the divider features a vibrant white writable surface. 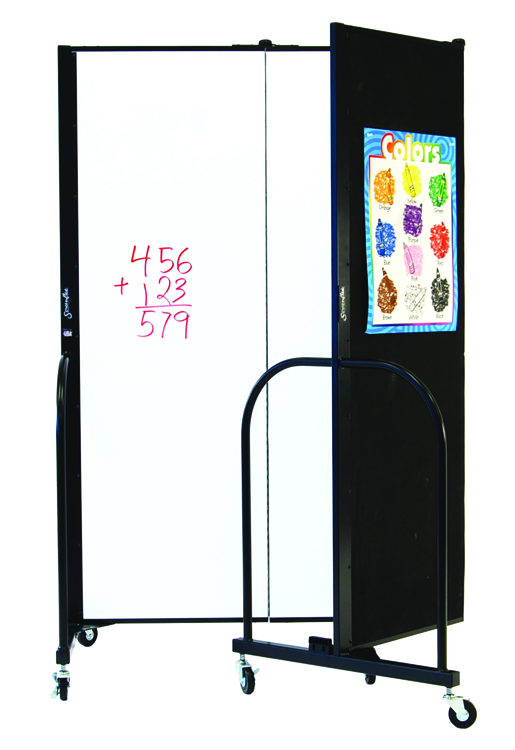 This easy to clean whiteboards for the classroom wipes clean for years of dependable use. This is a great surface to encourage collaborative learning, brainstorming, problem-solving and setting student expectations. 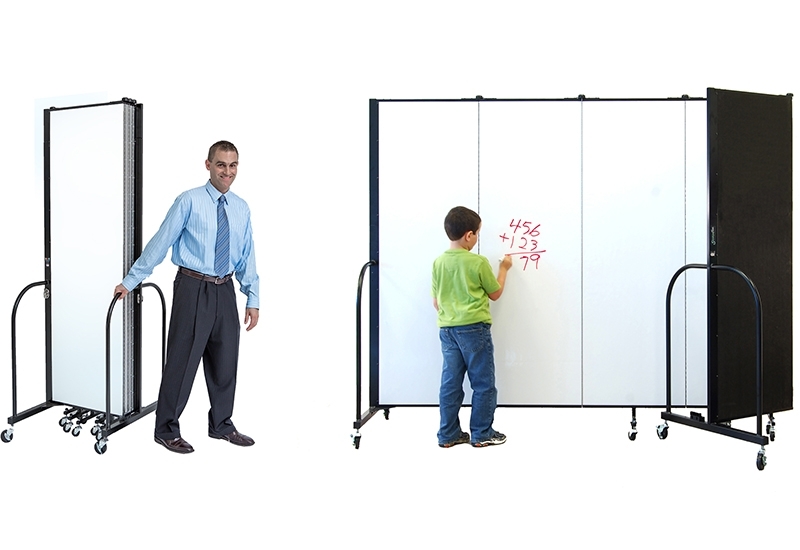 The Screenflex dry erase/tackable divider can be moved throughout the classroom and school to encourage student collaboration. 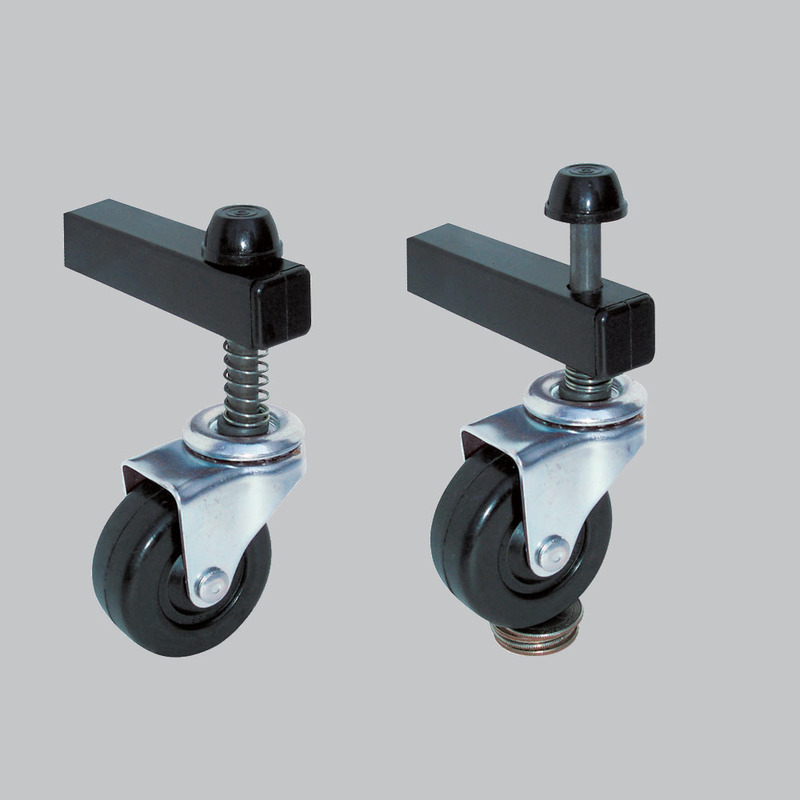 Self-leveling casters maintain a safe and sturdy divider when rolling the divider. 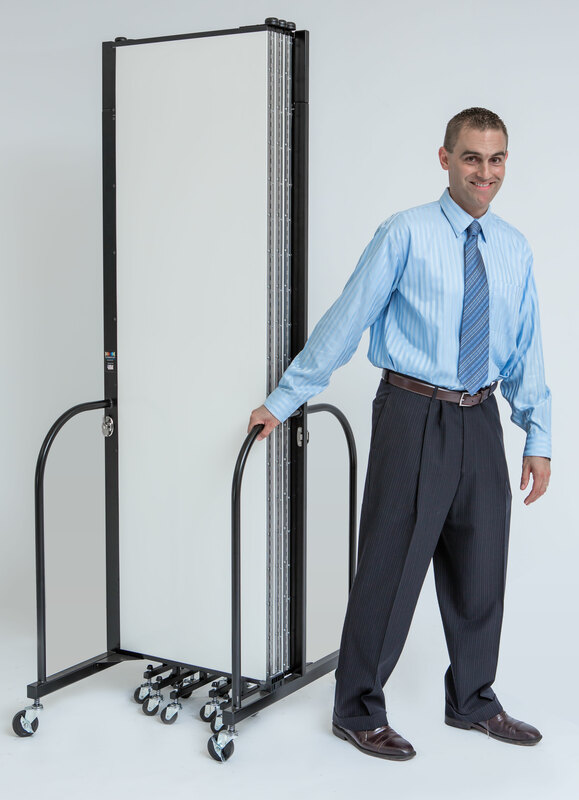 Locking corner casters secure the partition into place and the sleek design of the dividers allow the dividers to conveniently nest together for compact storage. 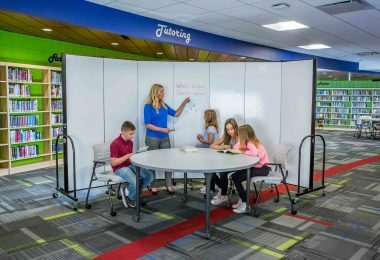 Use the Multi-Unit Connector to connect the dry erase/tackable unit to Clear or Standard dividers to convert any space into a multifunctional environment.